CarePlus™ Wireless is a versatile IP Nurse Call solution embracing modern aged care and acute care facility demands. The results of traditional wired system are combined for revamped operational functionality with next-generation, real-time wireless communication technology. 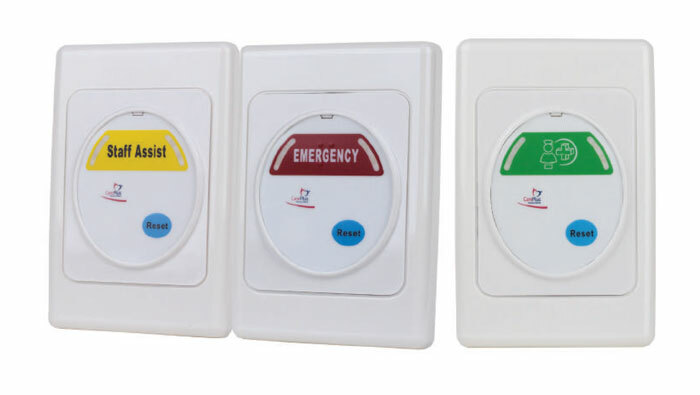 This system is ideal for aged care facilities, acute care facilities, mental health facilities, drug and alcohol units, dementia units, and day surgery. Freedom of choice and location is emphasised: there is no cabling required, providing faster performance and greater integration. User-friendly design and eliminated restrictions to building constraints connects people, process and technology for a cost-effective and tamper-proof solution. Improved functionality and infrastructure of CarePlus™ Wireless guarantees communication integrity with the added reassurance of reduced installation and commissioning costs.